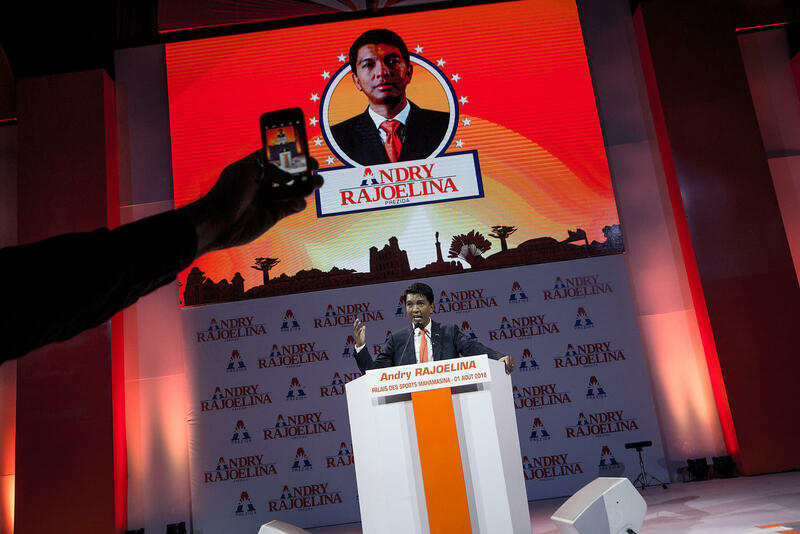 RIJASOLO | Andry Rajoelina, former President of the Transition, at the Mahamasina Sports Palace, addresses his first political meeting in Antananarivo on 1 August 2018. 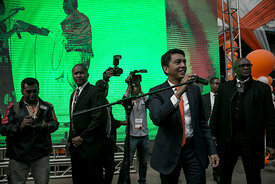 Andry Rajoelina announced his candidacy for the Presidency of the Republic of Madagascar. Andry Rajoelina, former President of the Transition, at the Mahamasina Sports Palace, addresses his first political meeting in Antananarivo on 1 August 2018. 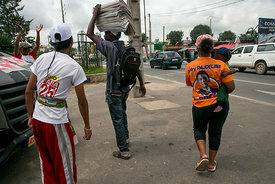 Andry Rajoelina announced his candidacy for the Presidency of the Republic of Madagascar.